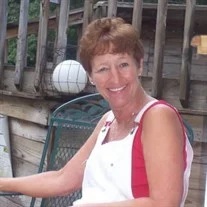 Susan Ann Ford Shahan, 63, of Ringgold, passed away on Sunday, February 3, 2019. She was a lifelong resident of the north Georgia area, and was of the Baptist faith. Susan enjoyed crochet, crafts and gardening. Most importantly she enjoyed spending time with her family. She had a loving heart and would lend a helping hand to anyone in need. She was preceded in death by her father, Johnny Ford; step-father, Charles Walden; and husband, Kenneth Shahan. Survivors include her mother, Ruby Walden; children, Stacey Lankford, Lisa Bryant, Kenneth David Shahan, Matthew Shahan and Mark Shahan; grandchildren, Kristina Lankford, Savanna Lankford, Paris Bryant, Varanda Shahan, Kenneth Shahan and Eli Shahan; loving family, Dottie Chestnut, Thomas Shahan, Daniel Shahan, Joanne Johnson, Nancy Parrott, Timothy Shahan, Larry Kerns, Lucille Kerns, Ryan Shahan and Betty Redmon; and several nieces and nephews. The family will receive friends from 10 a.m.-6 p.m. on Thursday, Feb. 7 at the funeral home. Funeral services will be held at noon on Friday, Feb. 8 in the funeral home chapel, with Rev. Ted Verville of Mission Ridge Baptist Church officiating. Burial to follow at the Tennessee-Georgia Memorial park.